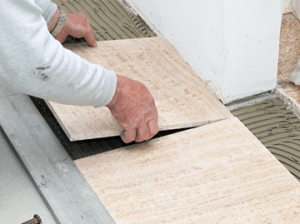 Our skilled crew of tile installers can complete your Tile project with ease and expertise, no matter how large or small. Over 25 years experience in Tile Remodeling in and around Morris County and North Jersey. At A&E Remodeling, we create beautiful work in a multitude of different tiling materials and designs to create a truly beautiful space. From the initial tile design to cleanup, you will receive a custom remodeled space that you will love. You are guaranteed not only, quality, beautiful custom tiled work but also a qualified team of tiling contractors capable of all aspects of your project. Contact us at 973-714-7383 to learn more.